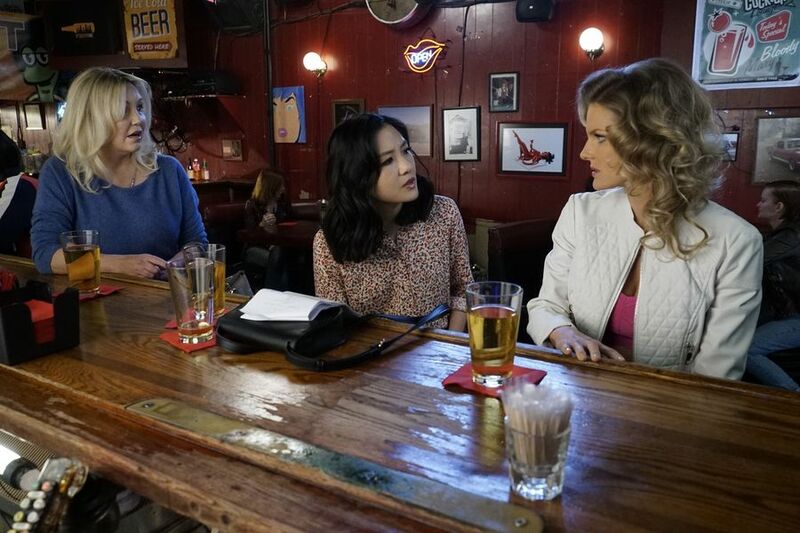 “What is the appeal of Marvin?” This is the question posed by Jessica, which she finally got an answer to later in this week’s episode of Fresh Off The Boat. I didn’t understand the appeal, but that’s just me. The appeal of Marvin appears to be enough to cause Honey and Sarah to be at each other’s throats. Sarah was a nice addition to the show because we had heard about the original wife before, but there was a never a face associated with title. She was not a fan of Honey. How could she be when she’s the ex? A stereotypical situation, but it worked because of how dominate Sarah was during the conversations with Honey. Sarah wasn’t afraid to come with the sass either. It was very clear that she was not with the new woman in Marvin’s life. She was also willing to fake cry in order to get a better deal, which is something Jessica would do, so it made Sarah more relatable to one of the main characters, and that’s why Jess liked her so much. It was a touching moment when the two women realized that they were actually both fighting over Nicole and not Marvin. One was trying not to lose her and the other was trying to make sure she did well in school. Both women care for the girl, so they were able to put their anger aside. There was also a small moment when Sarah was complaining about Marvin and Honey was not okay with those statements. This was a good addition for two reasons: 1) It showed that Honey cares about her man and doesn’t like when people speak ill of him 2) With the help of Jess, Honey realized that Sarah was just trying to vent. Sometimes people need to vent without getting advice. Although the story wasn’t centered around Jessica, she was still entertaining to watch. The fact that she didn’t know what Honey was saying helped with the humor behind her interventions. It’s also a reminded to the cultural differences between the two friends. Jessica doesn’t know all the terms, and she said that if she had to ask them to be explained it would take too long. I can only imagine how hard it would be to learn the slang and terms of another culture. The “clique” part at the end didn’t hold up. It felt forced, and it would’ve been better left out. As for the boys, they tried to figure out their grandma’s age. It was intriguing to know that she didn’t know when she was born, but more importantly didn’t care. Birthdays are a big deal in America, they’re like personal holidays. The weird thing about the situation was that the boys didn’t try that hard to figure it out. Emery did all the work in the end and figured out that she was old enough to get a free electric chair. He also had the best line, “I don’t know about y’all, but I’m going to Heaven.” It’s always nice when he has a funny moment, being that he’s not particularly funny most of the time. The lack of Eddie was a little strange. He usually has a plot each episode, so when he doesn’t it feels like the episode is lacking somehow. The show needs to work around this down the line to make the episodes where he’s not prominent more interesting.